Your car is a reflection of your personality, so you want to make sure it is something you are proud of. Installing aftermarket pieces is great for giving your vehicle a unique look. A common modification, adding chrome car wheels, is a great solution. Before you invest in some rims it helps to do some research so you can get the best option on the market. 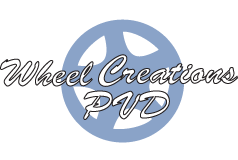 No matter what kind of vehicle you have, your best choice for rims that truly stand out is Wheel Creations PVD. Chrome car wheels from Wheel Creations are unlike anything else on the market thanks to our unique manufacturing process. Utilizing a specialized powder coated primer, our physical vapor deposition chrome – originally designed for the aerospace industry – is created by placing wheels into a vacuum chamber that pumps out air before chrome is electrostatically sputtered onto the rims. The end result is PVD chrome rims that are 100% environmentally safe and 80% lighter than chrome plated wheels; improving your vehicle’s fuel economy in the process. What makes our aftermarket chrome wheels stand out? Their durability! Traditional chrome plating pits, peels, and corrodes due to road chemicals and debris. Other kinds of chrome car wheels are also at risk of damage from neglect or curb rash, ruining you vehicle’s great looking rims. But thanks to our process Wheel Creations rims stand the test of time. So you not only want to have attractive looking wheels, but wheels you can be proud of for the duration.